You’ve got your tickets. Now, what do you wear? While you don’t want to one-up the performers, you do want to stand out among the crowd and dress to impress. Burlesque is rooted in vintage culture, so take a look at what your favorite vintage style icons wore. If you’re more into modern fashion, don’t worry - there are plenty of options for you as well. You can’t go wrong with a pinup styled outfit. Think polka dots, collared shirts, and pencil skirts. Pinup models became popular during World War II as a distraction from the war, as these model’s photos were “pinned up,” hence the name pinup. Since pinup was popular during wartime, patriotic colors were often popular - think reds and blues. Symbols like anchors were also common - anything navy or army related. If you want to emulate this iconic style, a halter dress with either an A-line cut or a bodycon cut are a safe bet. Bare legs or sheer pantyhose are a popular choice, and opting for a pair of pumps or cute high-heeled court shoes completes the look. Want something a bit edgier? Try rockabilly style, which emerged from pinup. It takes many elements of pinup style - the colors, the clothing cuts - and adds some toughness to it. Swap a pencil skirt for a pair of skinny jeans and toss a leather jacket over your button up shirt, and you’ve got a casual approximation of rockabilly. And since rockabilly takes inspiration from rock n’ roll music, don’t be afraid to put on a band tee and show off your tattoos! The roaring ‘20s was all about glam. Women started to wear shorter dresses that were more comfortable than the corsets of the past. Waistlines became looser, and glitzy accessories were essential to any outfit. Get out your feathers and fringes! Wear a short, fringed dress and accessorize with fishnets, arm warmers, and a fascinator. 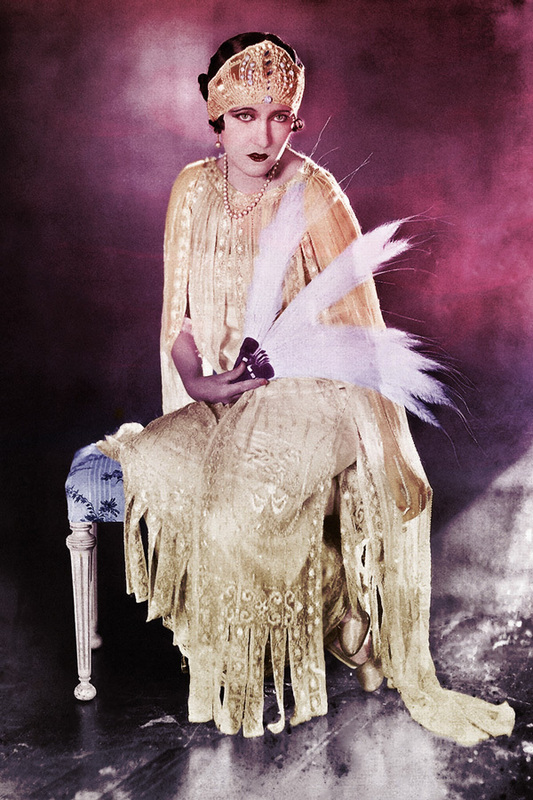 Fashion icons like Gloria Swanson and Anita Page stood out with their extravagant headbands and sparkling dresses. Menswear also started to gain popularity in the ‘20s. Style icon Coco Chanel popularized women’s trousers and skirt suits. So, if you’re not feeling a frilly dress, try some trousers, a tweed jacket, and some pearls for good measure. Want to look a little more modern or a little more edgy? A burlesque corset is a great option! Corsets are very popular in burlesque culture, and they’re so versatile. If you want a more formal look, you could wear a corset style dress paired with high heels. Or, if you want to keep it casual, a corset top with skinny jeans looks great. If you love boots, this is your outfit. A pair of heeled booties pair well with a corset top, or a pair of knee high boots if you’re more daring. Of course, if you don’t want to commit to a full corset, try a corset belt over a dress or over another shirt. You can style your corset to look more goth, more vintage, or something in between - it’s all up to you. How you accessorize will make a difference in how you look, too. Dark, sultry makeup will give you an evening goth look, for example, and a more colorful corset with modern makeup will give off more of a night out vibe. If you want to go all out, wear a red carpet style gown! You can pull inspiration from different fashion icons and wear something more modern, more vintage, or something totally unique. Vintage hollywood is a great place to draw inspiration from here - think Marilyn Monroe. Find out what styles your favorite actresses wear to events and draw inspiration from there. Or choose your favorite decade and see what the stars were wearing during that time! If you choose to wear a gown, keep your accessories and makeup relatively simple, and let the dress do all the talking. Updos look great with long dresses, so consider wearing your hair up. Have a shawl or scarf on hand to keep you warm, as theaters are often a little bit chilly. If you want to play up the sexiness factor, go for it! A simple office look is a great outfit to wear to a burlesque show. Pencil skirts are a must for this outfit, and the length is up to you - although keep in mind you’ll want something comfortable enough to sit in. A low cut blouse or a tight button up top underneath a cardigan pulls the outfit together. The shoes are very important in this outfit, and you can’t go wrong with a pair of stilettos or pumps with a small platform. Think 50 Shades of Grey or Secretary. Keep accessories to the minimum - you did just come from work, after all. Depending on your personality and your style, you could style this outfit to be innocent and playful or a little more risque - it’s up to you. Most importantly, when it comes to dressing for your first burlesque show - remember to have fun! Fashion is all about expressing yourself - just like burlesque. Get inspired by your favorite fashion icons, but don’t be afraid to make the outfit your own! What would you wear to your first burlesque show? Comment below!